Across makes a Bluetooth-equipped PC or Mac work as a standard Bluetooth keyboard/mouse combo. Thus, you can seamlessly and wirelessly control all your smart devices including computer, smartphone and tablet PC with the computer’s keyboard and mouse. 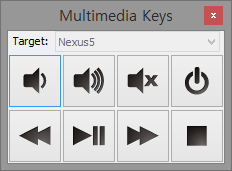 Multimedia keys (e.g. Volume down/up, Mute, and etc.) 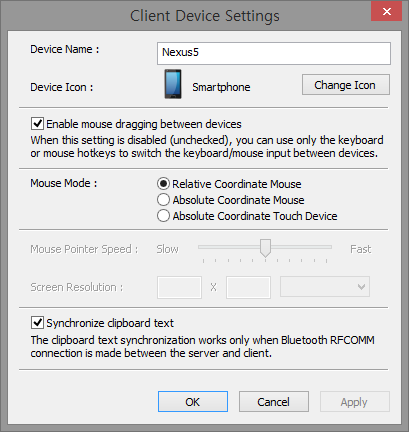 on your keyboard can work on a client device as well. 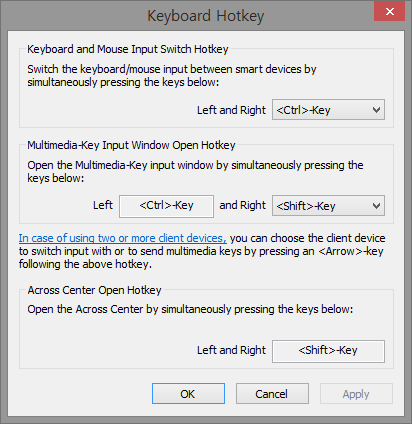 Moreover, Across helps you easily send multimedia keys to a client device. 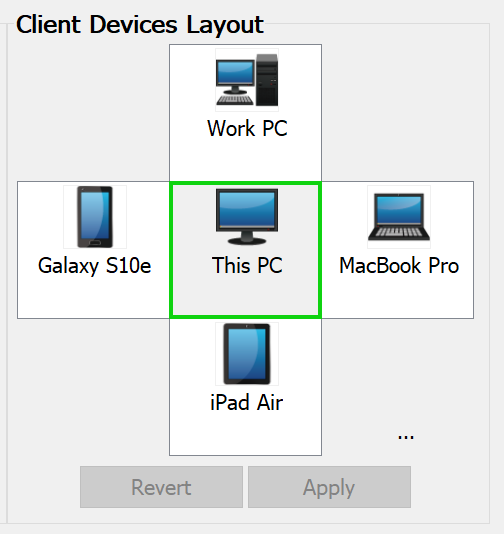 When Across Client works on a client device, you can copy text from one device and then paste it on other devices in the same manner as when you copy text on a device. 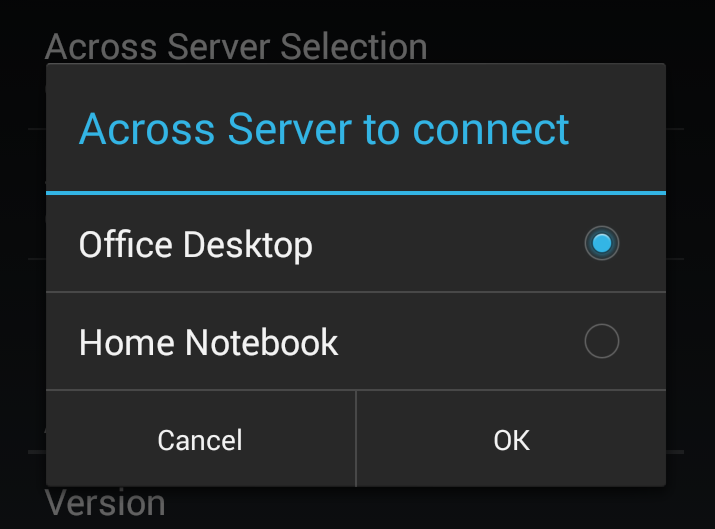 Across Server enables your computer to work as a standard Bluetooth keyboard/mouse combo. You may know that the mouse cursor moves back and forth between dual monitors of a computer. Similarly, Across Client enables the mouse cursor to move back and forth between an Across Server computer and a client device. It allows you to copy text between devices using normal copy and paste. 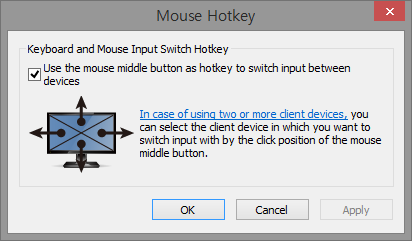 Although Across Client has not been installed on your client device, the keyboard or mouse hotkey allows you to control the client device using the Across Server computer’s keyboard and mouse. 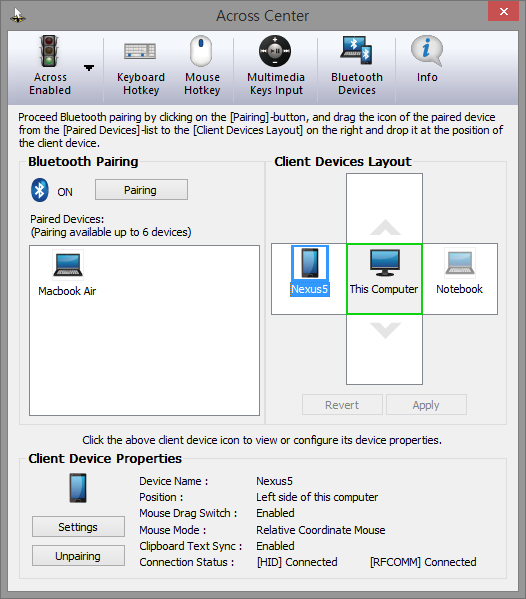 In this case, only the two functions (mouse-dragging and textcopy between devices) provided by Across Client are not available. 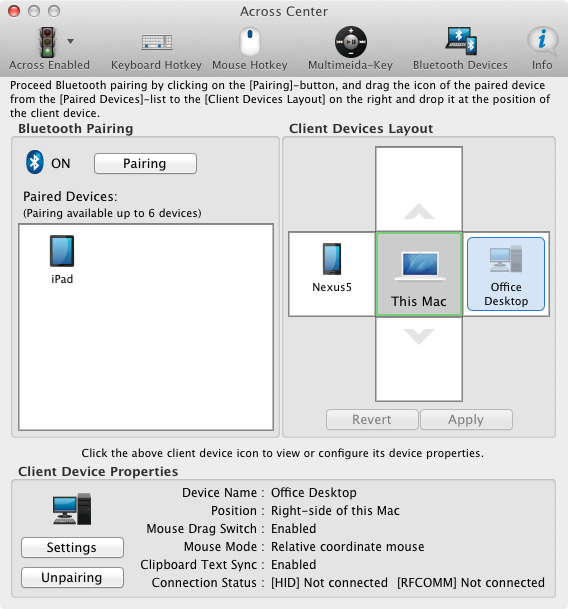 On Windows 7,8(.1),10,Vista and OSX, you can switch the Across software mode between Across Server and Across Client. On Windows XP and Android, Across Client only works. While keyboard works well on an iOS device (iPhone/iPad), iOS does not support a mouse. Therefore, mouse operation does not work on an iPhone or iPad. 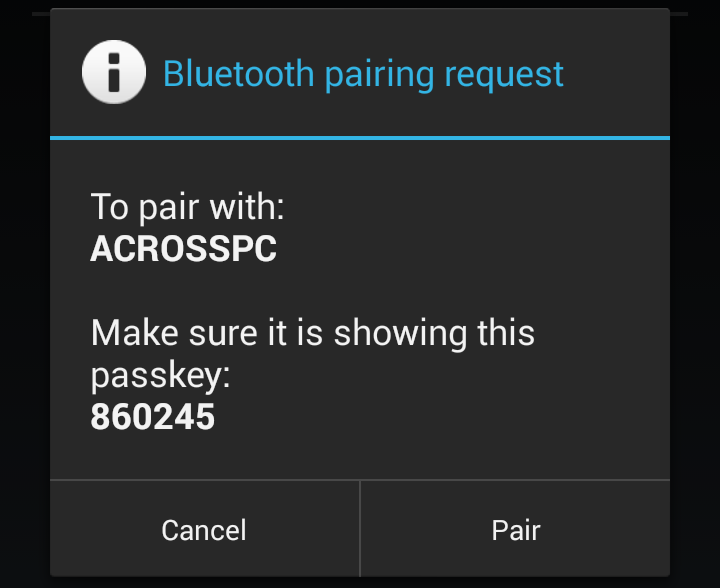 For Windows, only Microsoft Windows Bluetooth stack is supported; Other Bluetooth stacks (Broadcom WIDCOMM, CSR Harmony, Toshiba, BlueSoleil, ...) are not supported. 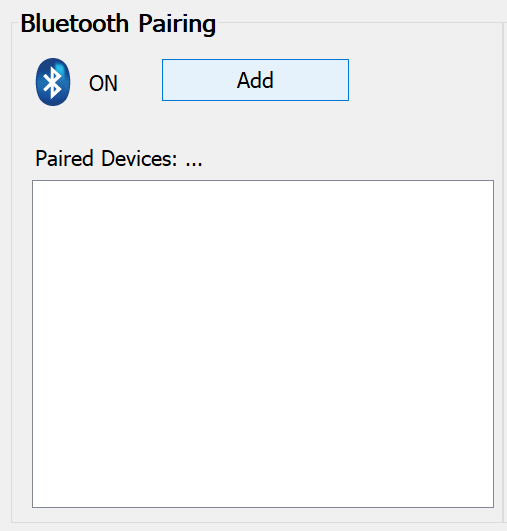 See Q1.2 on how to check the Microsoft Windows Bluetooth stack and Q1.3 on how to switch to the Microsoft Windows Bluetooth stack in the FAQ page. Intuitive UX/UI User-friendly and intuitive UX/UI design makes you easily set up and use Across. Same experience on PC & Mac Across provides identical experience on Windows and OSX. 16 languages localization English, español, dansk, Deutsch, français, italiano, Nederlands, norsk, português, svenska, Türkçe, русский, 한국어, 简体中文, 繁體中文, 日本語 supported. 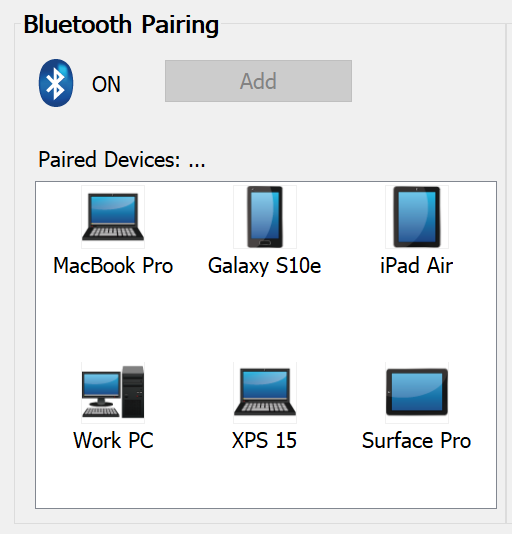 Pairing available for a maximum of six devices You can make Bluetooth pairing for a maximum of six client devices on an Across Server computer. A maximum of four devices controllable simultaneously Across allows you to simultaneously control a maximum of four client devices by assigning each device to a position of left/right/top/bottom around an Across Server computer. 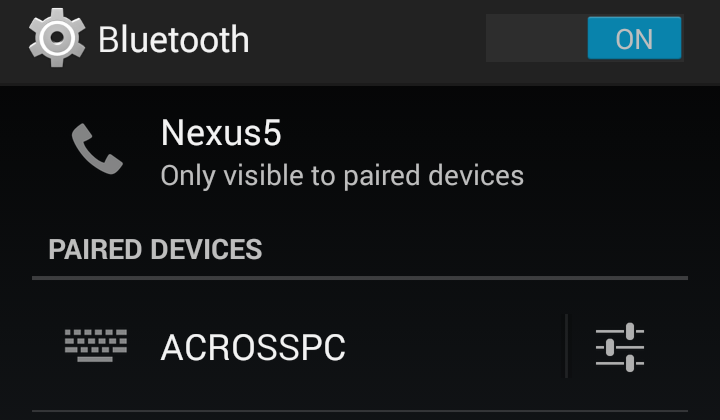 Your client device can be paired with multiple Across Servers, and you can select one of them to use. 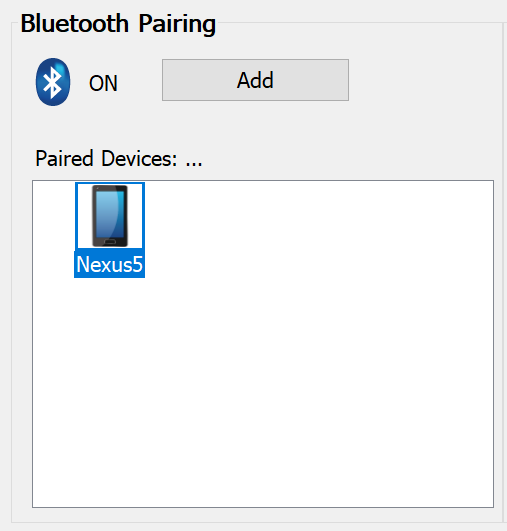 For example, you can make your smartphone Bluetooth pairing with your home and office computer, and you can select one of them to use at home or office. 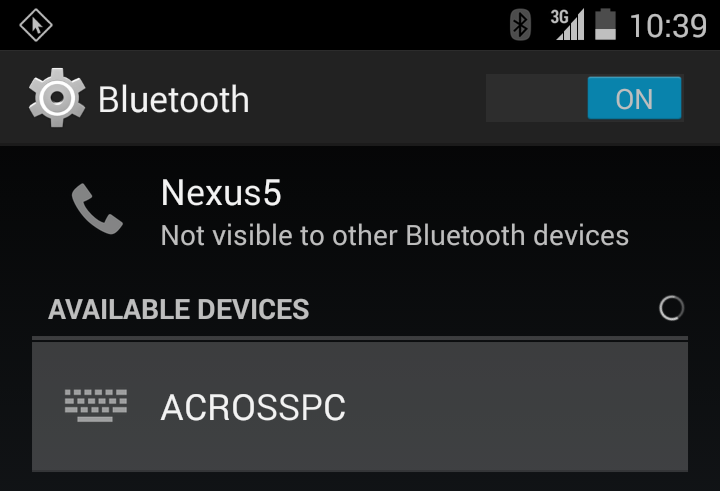 Across does not affect your Bluetooth gadgets (e.g. headset, speaker, keyboard, mouse, and etc.) that you are already using. You can use any Bluetooth gadgets without worrying about a conﬂict. Across uses negligible computing resources including CPU time and memory, and therefore works naturally as if your computer’s keyboard and mouse were connected directly to your client devices. Our solid technical background provides you the complete stability for every function. Your computer’s keyboard and mouse can be any type of wire (USB/PS2) or wireless (Bluetooth/RF). And your keyboard can be any country keyboard. Across completely supports multi-monitor environment. It does not matter how many monitors your computer has are.